Much as getting some sunshine is a great idea for kids of this generation who may have their focus directed towards screens, unpredictable weather conditions can potentially pose an issue. Nobody wants to get wet in the rain, or even get burned if the sun is too hot. The solution? 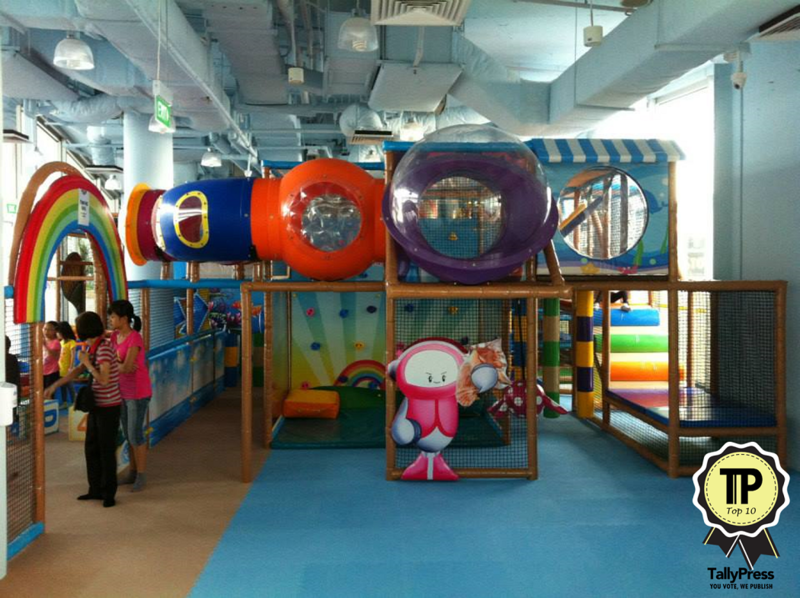 Indoor play centres. 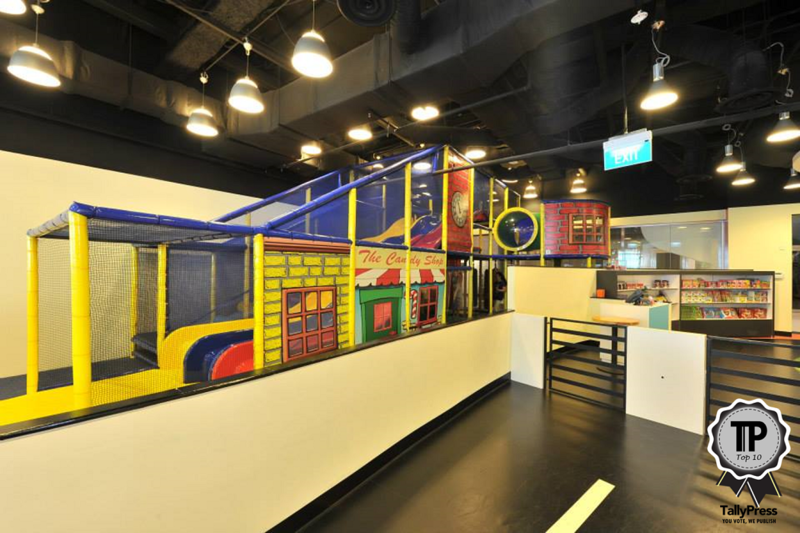 Here are the Top 10 Indoor Play Centres for Kids in Singapore. 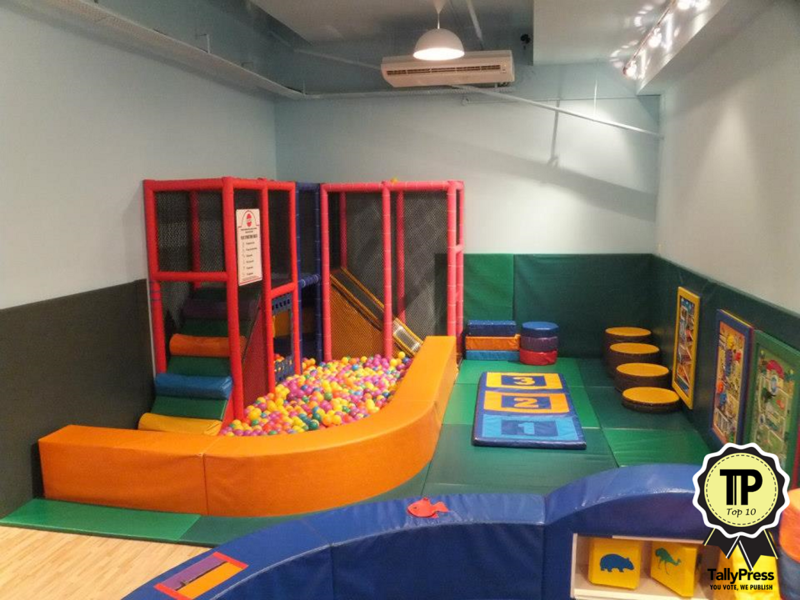 Kidz Amaze is a play area that doubles up as the perfect party location for your little ones, and is Singapore’s largest indoor playground. Currently they have three branches, at Jurong, Punggol and Toa Payoh respectively. Children are in safe hands, as “Playground Rangers” are around to guide them in the playground. They have membership options available, something regulars can consider. 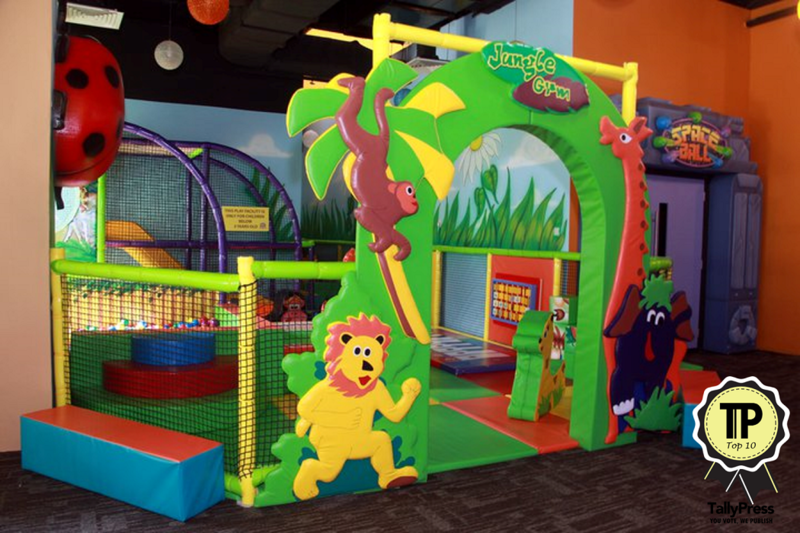 Kidz Amaze is happy to offer $2 child entrance to all their 3 outlets. The special entrance rate is only applicable on certain dates and outlets listed below. It’s fun for all here at Cool De Sac, because when the kiddos play, Mom and Dad can kick back and relax whilst enjoying a hearty meal and a well-deserved break. The attraction here is their face painting station, which the kids are sure to enjoy. They are located at Suntec City Mall, next to The Cocoa Tree. 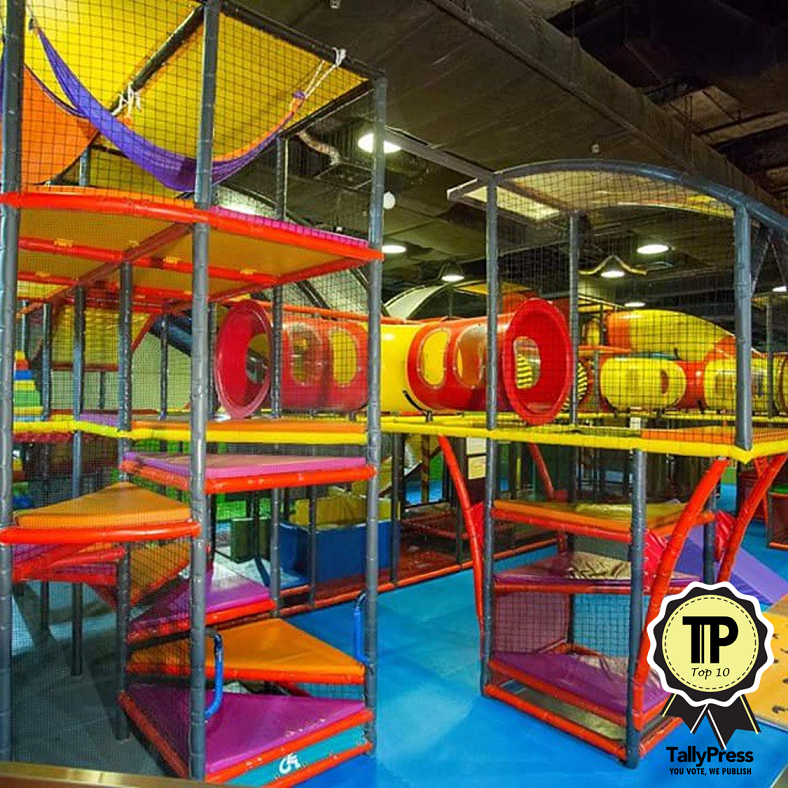 T-Play was awarded Best Indoor Playground in 2016, from Parents World. They cater to children from the ages of 6 months up to 12 years old. The concept came from Sweden, and it is an interactive transportation themed playground. Games here are meant to stimulate brain development, motion coordination and a sense of direction. This centre is located at Bukit Batok. 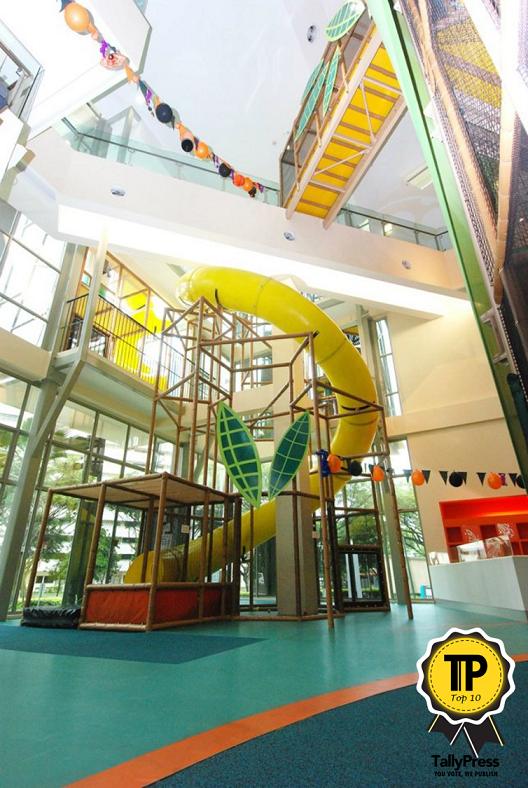 This fully integrated family fun centre is huge, that’s no joke. With 9,500 square feet to work with, kids will be able to go to town here. 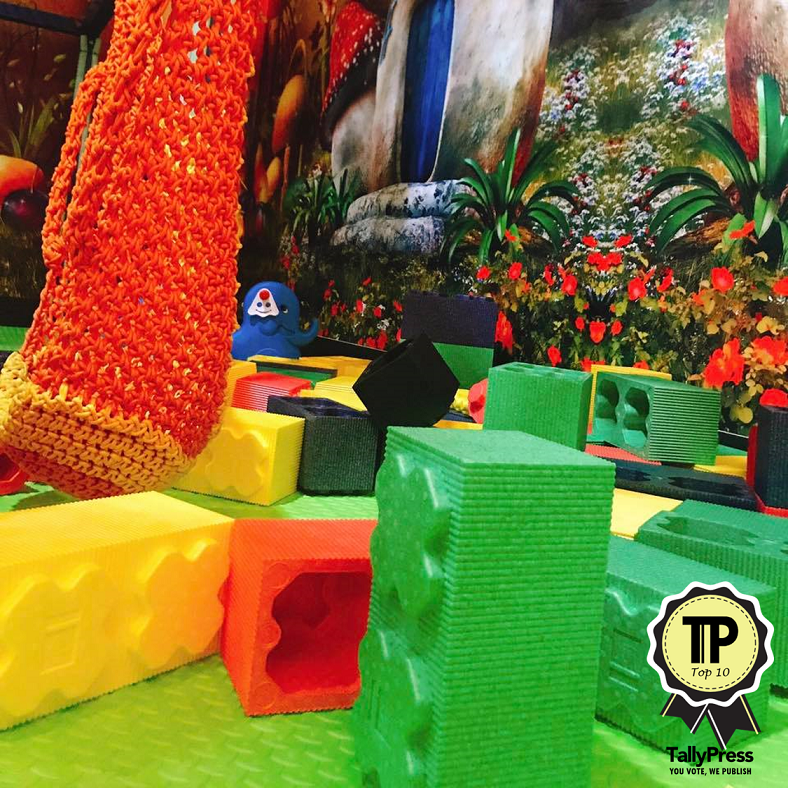 What’s great is there are activities for a variety of age groups, from a toddler play area for those under three years, and a jungle gym for those older than four. Other cool activities include 3D glow in the dark gold, and Spaceball. If your child is 12 or younger, then eXplorerkid is the place to be. It’s a family friendly club which aims to go beyond just being a playground. There, they offer activities that are educational as well, with games that focus on developing motor skills and brain power. They have two branches – one at Downtown East and another at AMK Hub. Want to get a workout in but concerned about where to leave your kids while you exercise? Bouncing Kids solves the problem easily. It’s not only a playground for kids, but a gym for adults! The playground is open for all at a fee, but you can opt for membership too. The playground has mazes, slides, swings and a ball pit. There is also a café on the premises. 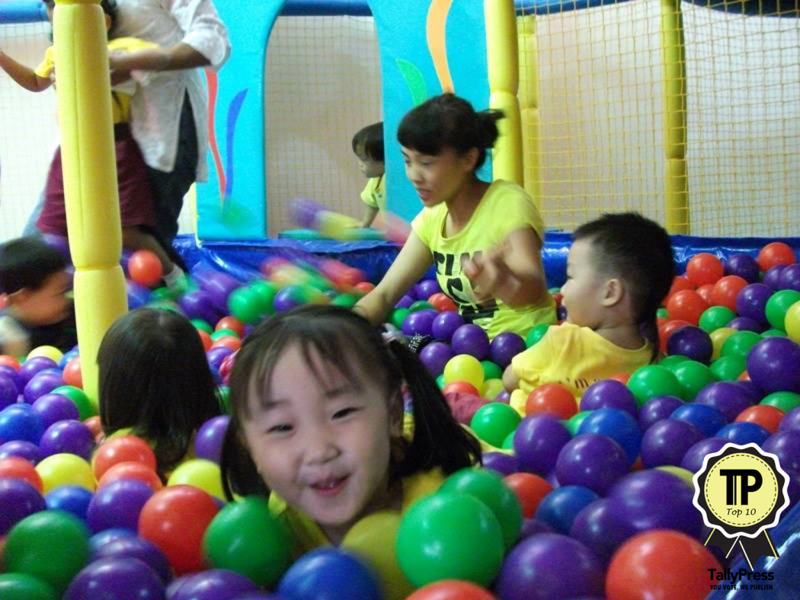 Kidzland is a themed attraction for kids, and features several different play areas to fully occupy the little visitors. They have an arcade, where parents and children can interact together on family games. There is also a DIY centre to encourage creativity, an area to play with building blocks and their 3,000 square feet Forest, which is the play area with slides and rides. Playgrounds don’t always have to be typically that. At Fidgets, kids are encouraged to play in different ways too. Besides the multilevel playscape, they also have opportunities for kids to engage in baking, makeovers, arts and crafts. There is also a café on the premises that serves affordable Western dishes. Preparing kids for the realities of adult life doesn’t sound like it can be fun, but the team behind The City have certainly managed to do just that. 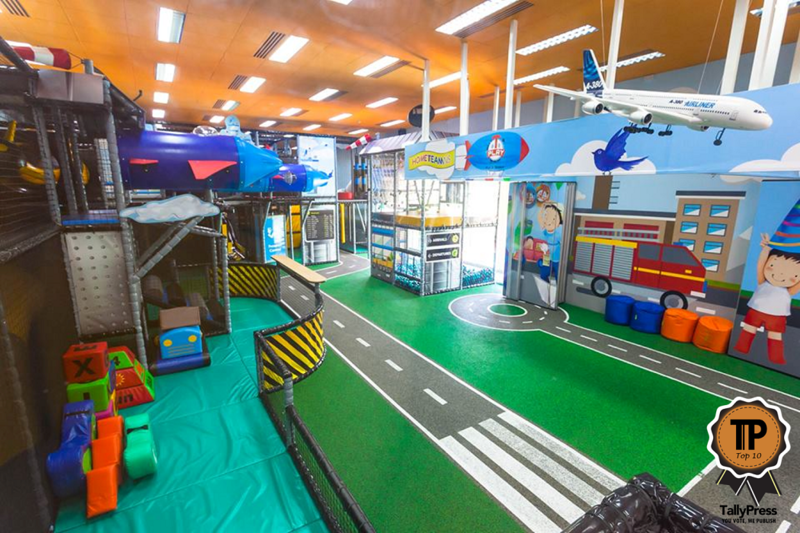 At this interactive learning playground, kids will get to experience environments like hospitals, grocery stores or even the Police Force. There, they can learn skills that will be useful as they get older. As they say, it’s “seriously fun”, so bring your kids along to The Polliwogs at Suntec City Mall, Eastpoint, Vivo City or Annexe@Furama. This play centre has fun workshops, talent time events, weekend shows and educational activities specially for the little ones. Parents can also enjoy their café while waiting for their children. They also have membership programs available for added perks.